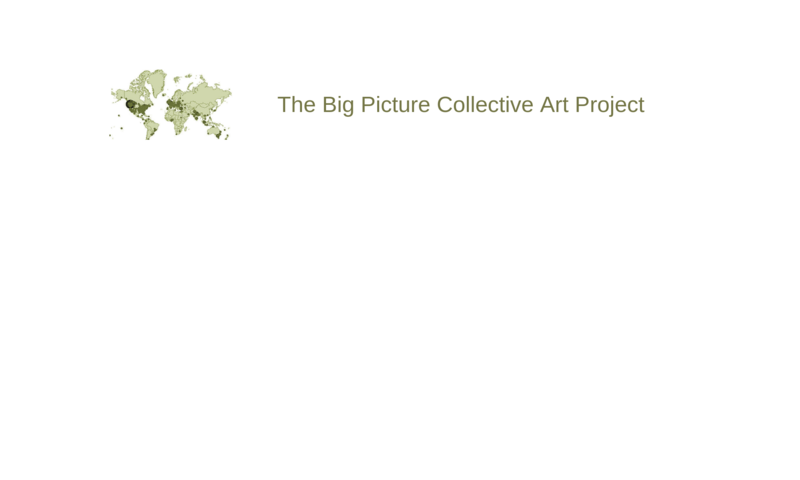 The big picture is a collective art project where people in our local area and around the world are collaborating to create a big mosaic picture from thousands of drawings and stories. This project outlines the connections between individuals from all around the world and can be seen as a giant conversation taking place between all the participants and us through a dynamic and monumental art work. We are interested in learning more about you: where you are coming from and where you are living now. 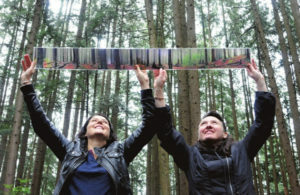 Photography by Mike Wakefield and article by Jeremy Sheperd pour le North Shore News. We both immigrated from France about 20 years ago. Sophie is from Britany and Sandrine from the Paris area. We now live on the Canadian West coast in North Vancouver and are surrounded by the beautiful rain forest, it reminds us every day of our strong connection to nature, and inter-dependency with the rest of the world. Working on this project, we liked the parallel between individuals in a community and trees in a forest and also the idea that we all need to feel rooted in our current location whenever we were born there or not. The mosaic aspect of the final picture reminded us of the mosaic of individual people and their stories that are working together to make up our multi-cultural society. What will the project look like? We are building a big panoramic picture from thousands of little squares that you can design at home and upload on this website. One of the many exciting parts about this project is that you will be able to see a close up of your art and zoom out to see how it fits as a part of the whole, a poetic metaphor of our interconnected existences. You will also be able to see all the individual art squares that are making up the picture and their individual design, who designed them, in what country they were living and also what the drawing is representing for the artist who made it. ​​The final print of the picture will be 2 meters high (6 1/2 feet) and a maximum of 22 meters wide (72 feet)​​. What is going to happen with the project? Once the project is completed, we will be looking at exhibiting it in art galleries or museums . Monthly prizes by our sponsors to the most interesting contributions. We will publish books with a selection of contributions. Unique opportunity to share the life stories that are important to you with a wide audience.